The 2018 Pantone Color of the Year has been announced and, as happens every year, brands are embracing this newly appointed hue for use in jewelry, fashion, home décor, graphic design and more. This year’s color, Ultra Violet 18-3838, is a soothing, peaceful purple that is reminiscent of amethyst stones, meditation spaces and that perfect moment as the day gives way to night and the sky is aglow in violet hues. The Pantone Color Institute points out that purple symbolizes an array of moods and movements, including non-conformity, unconventionality, creativity, mindfulness and inventiveness. Historically, of course, purple has also been the color of royalty. 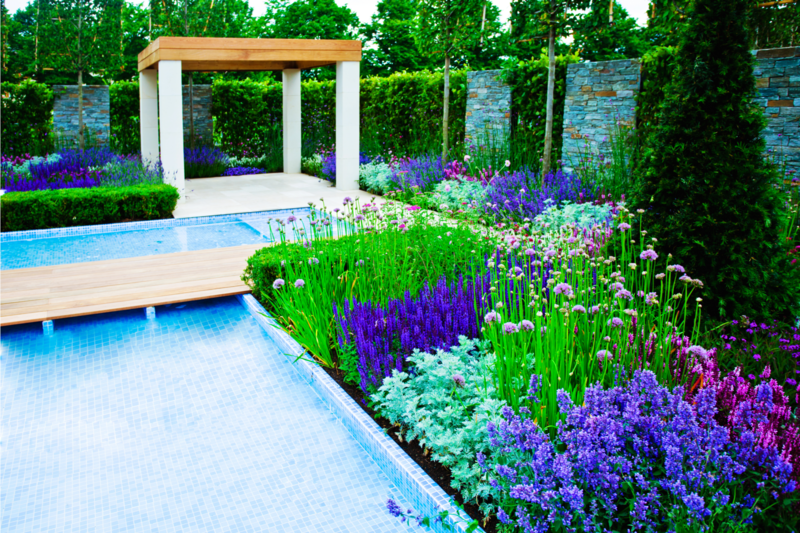 Whether you are a long-time fan of purple or are just looking for an accent color to bring new life to your outdoor living areas, this year’s Pantone Color of the Year provides the perfect opportunity to include this vibrant, inspiring hue in your garden and décor. The Pantone Color Institute is the consulting arm of Pantone and is widely respected as a forecaster of color trends and for their custom color development. Brands and corporations turn to the Pantone Color Institute for color design to keep their products on trend and to harness the emotion and power of color in their marketing and branding strategies. The Pantone Color of the Year is primarily a forecast by the Pantone Color Institute regarding the top color for the year to come. Influencing fashion and design since 2000, the institute’s color choice has become far more than a forecast and is now more of a trendsetter for the strategic color design for the coming year. Of course, many paint companies choose a color of the year from their own lines, but it is the publication of Pantone’s color or the year that is most anticipated and most influential. It should be noted that the institute does not just choose a color that happens to be popular at this time; each year, the color of the year is chosen based on research, global movements and current events. Why is Ultra Violet the 2018 Pantone Color of the Year? It is not an accident that the institute chose purple – a mixture of blue and red – as a reflection of what is needed in the current political climate. Shades of purple can complement any décor, ranging from traditional to modern. It is just as becoming in an English garden as it is in a sleek, minimalist design. This versatility allows anyone to incorporate this vibrant color in their indoor or outdoor décor, including in your outdoor living areas or landscaping. Ultra Violet is particularly well suited for use as an accent color or to bring attention to your desired focal point, such as a patio sofa or centerpiece. Because of this, it is best used as one component of a color story, rather than used monochromatically throughout every textile and surface. Here are 10 ideas to inspire you when considering how to incorporate the 2018 Pantone Color of the Year in your outdoor décor. Amethyst geodes boast beautiful crystals in several shades of purple and are a great addition to gardens, patios or meditation spaces. Large geodes are a gorgeous focal point when placed at the corner of a patio or in a flowerbed, while smaller geodes or stones can be used as centerpieces at your next dinner party. Ultra violet is a common color found in indoor and outdoor rugs, so you should have no problem finding a patio rug that complements your décor and shows off your knowledge of color trends. Switching out your patio cushions is always a good way to quickly refresh the look of your outdoor living area. If you are a fan of violet but were not quite sure if you were ready to make a statement this bold, now is your chance to take advantage of this new design direction and boldly bring this vibrant hue into your patio décor. 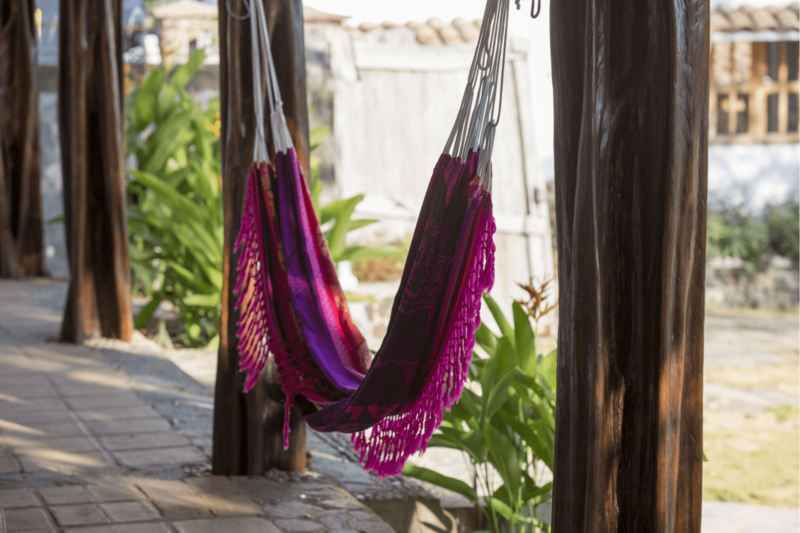 If you like the idea of adding purple but do not want it to become the main color on your patio, consider just adding violet throw pillows or a hammock. If you are looking to make an even bolder statement, you can opt for ultra violet for your patio curtains. Purple patio curtains are not always easy to find, so if you have been hoping to someday hang purple drapes around your covered patio, this is the year to purchase them. 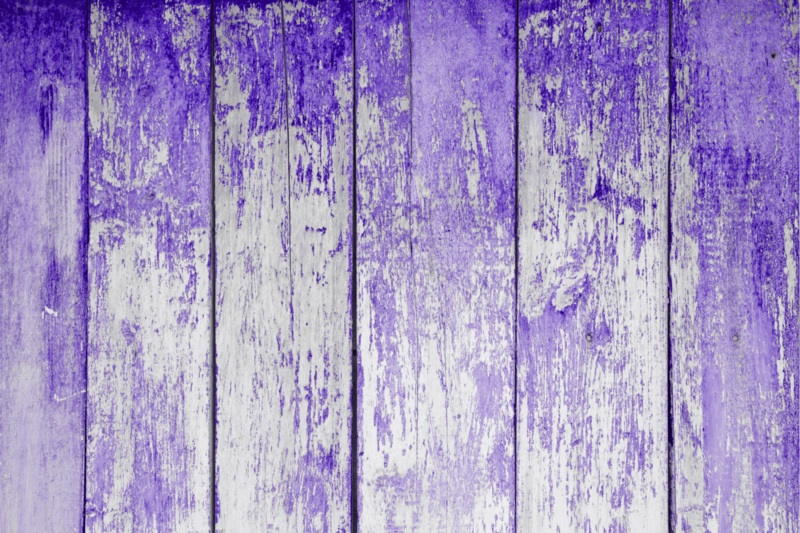 You will have a much better chance of finding them while purple is the hot color for home décor. Unless your goal is to create a purely purple patio, it is best to do either your cushions or curtains in ultra violet and to choose a complementary color for the other. You can include purple in both places by choosing a solid fabric for your curtains, and then choosing patio cushions with a pattern that includes violet (or vice versa). Purple is often associated with stress reduction, mindfulness, relaxation and meditation. This, of course, makes it a perfect choice for new or existing meditation spaces. Ultra violet can be included in these dedicated spaces by choosing meditation rugs, cushions or shawls in shades of purple. 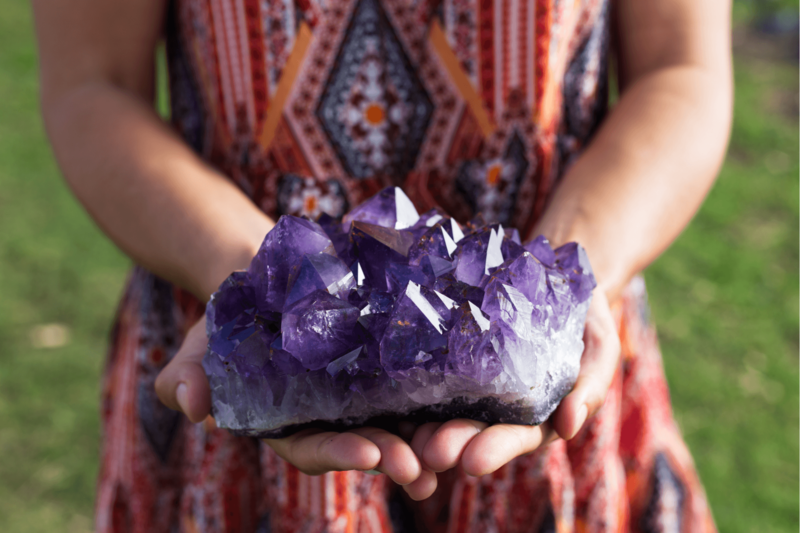 You can also add purple to your space by including amethyst on your altar or a side table. Add the Pantone 2018 Color of the Year to your outdoor living areas by painting a fence, accent wall, side table or your patio furniture brilliant shades of violet. If you go with the Pantone brand, it is Ultra Violet 18-3838, but you can also find similar colors offered by other brands, if needed. Table linens, such as tablecloths and napkins, are a fun, festive way to include the color of the year in your outdoor entertaining spaces. If you love purple but are not sure you want to commit to it for everyday use, this is a way to include it when you feel so inclined without being bombarded by this bold hue every time you step outside. For folks who are also using it in other areas, such as for patio cushions or curtains, adding table linens in ultra violet is a great way to tie the space together for social gatherings. Create an inviting, colorful table for your next dinner party with ultra violet plates, serving bowls or trays. If you are looking for just a pop of color that can stay out every day, consider painting a simple serving tray bright purple and keeping it on your outdoor dining table or a side table so that it will be handy if unexpected guests stop by. Plants are an easy way to add color and texture to outdoor living areas. Whether in a patio container garden, a flowerbed that borders your lawn, or hanging planters, plants with purple leaves, flowers or fruits are inexpensive and add instant visual appeal. 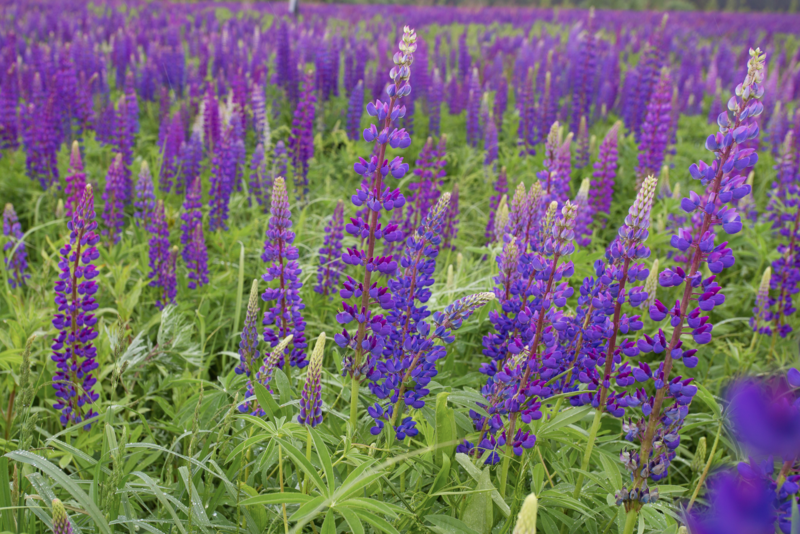 Options include lavender, Mexican sage, salvia, irises, plum trees, eggplants, orchids and roses. Purple is such a welcoming, pleasing color that it can be used successfully almost anywhere. If smaller pops of color work for you, consider adding your ultra violet in your centerpieces or by adding purple flowerpots to your container garden. Vases filled with purple flowers are an inexpensive, easy way to show you know your color trends the next time you host a social gathering. Or, you can add purple planters to your patio to enjoy this fun color every day.